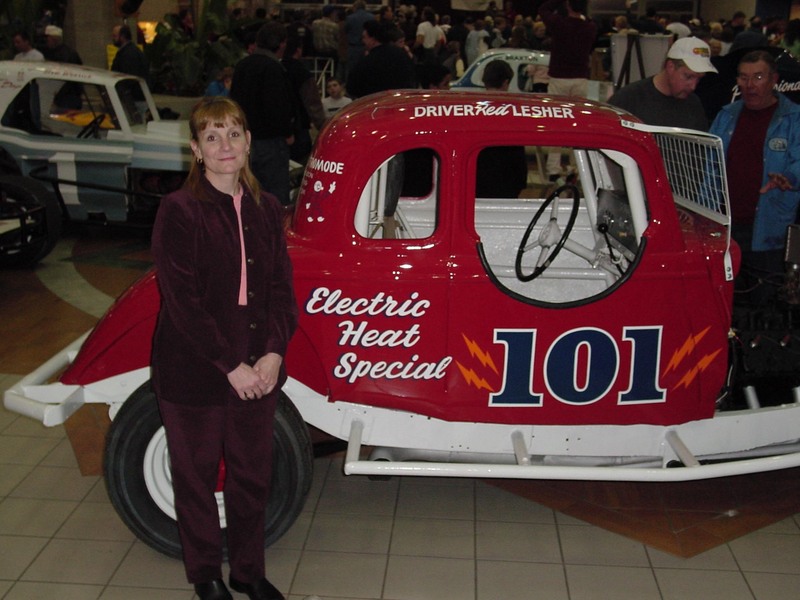 A special Thank You to Mr. Kerry Madiera for sharing the following pictures of the 101 car! Great pictures! car becomes a Miracle of Memories. 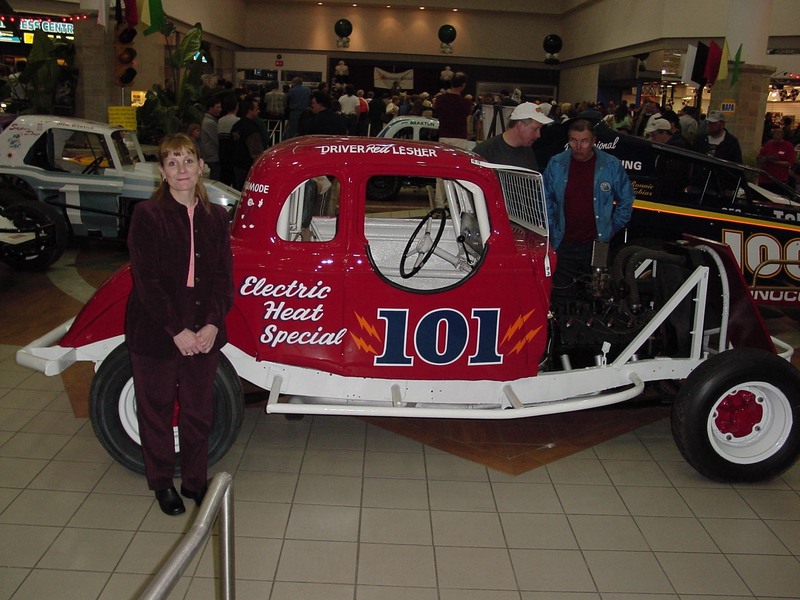 The replica #101 car won Best Appearing Restored Race Car at the 18th Annual Reading Racing Reunion & Car Show held at the Fairgrounds Square Mall in March 2003. 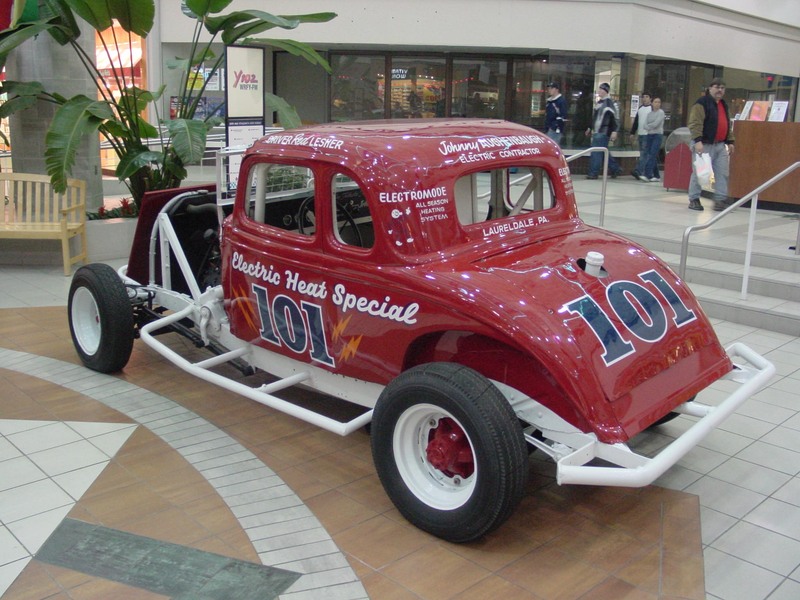 The famous #101 car was driven by George "Red" Lesher. 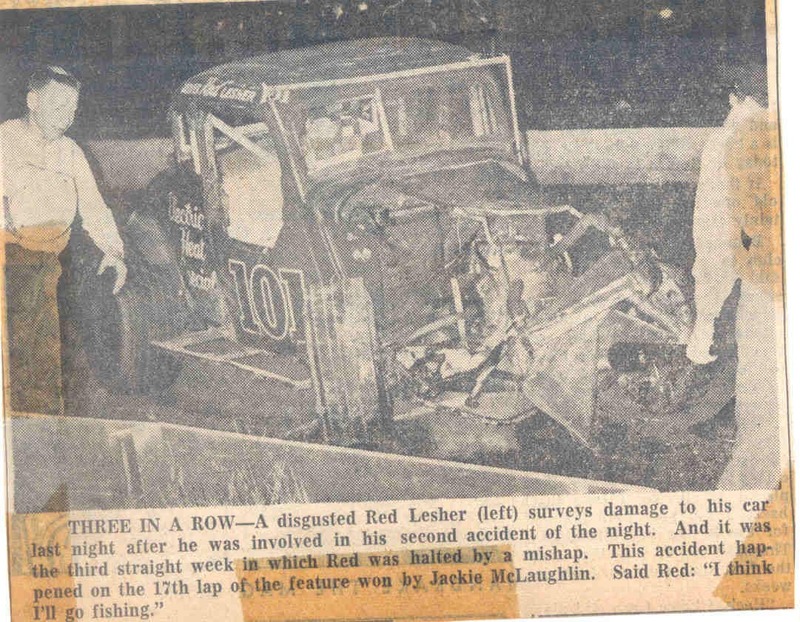 "Red" Lesher was born 12/3/29 and died 8/31/00. 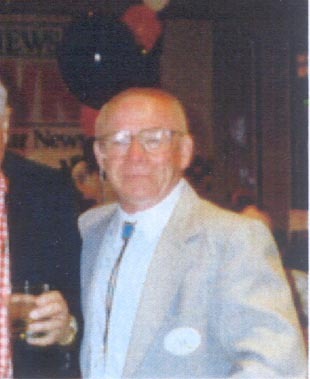 The car was owned by Johnny Aughenbaugh. This 1934 Ford bodied V-8 Flathead is a replica car of those raced during the final year of Flatheads in 1962 at the Reading Fairgrounds. 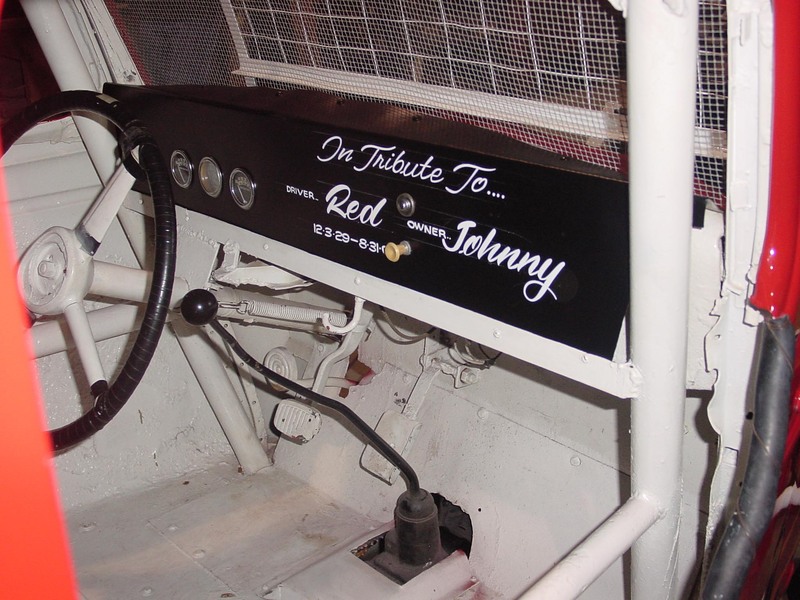 "Red" drove the V-7 owned by John and Bob Newlin and supported by a friend, Johnny Aughenbaugh in 1961. 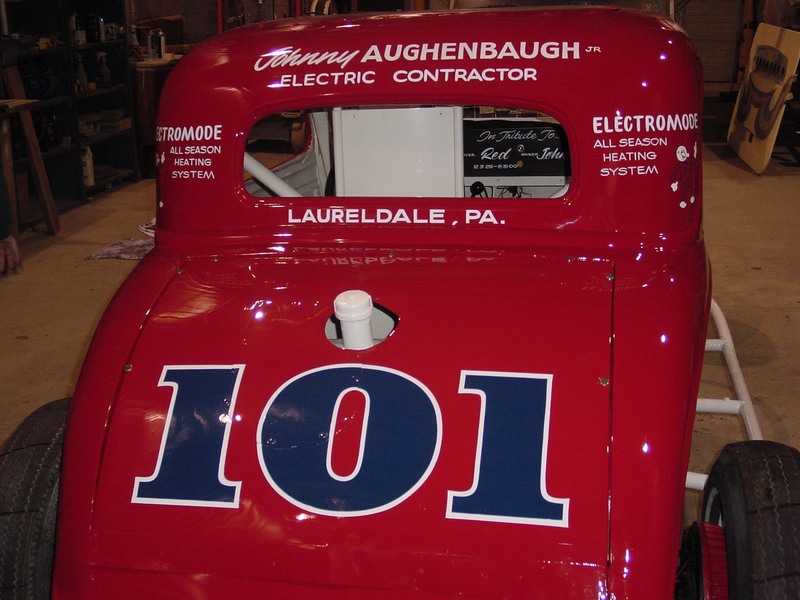 After leaving Newlin Brothers, "Red" and Johnny joined to race the #101 car, buying Charlie Bubeck's #51 three window coupe to get started. 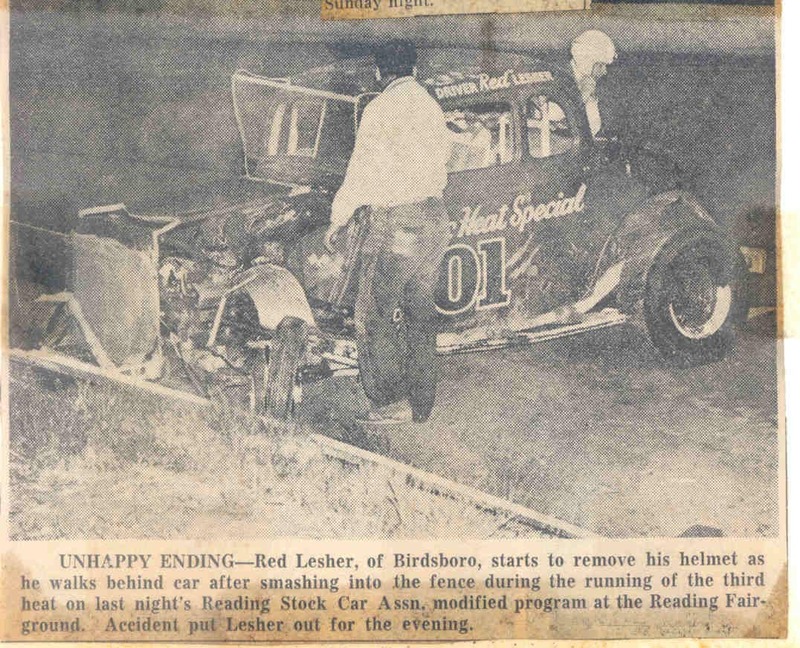 (Note: before Charlie was killed in the #15 car). They followed with the five window coupe to finish out the Flathead days and changed the five window coupe over to a Chevy overhead cam for 1963. 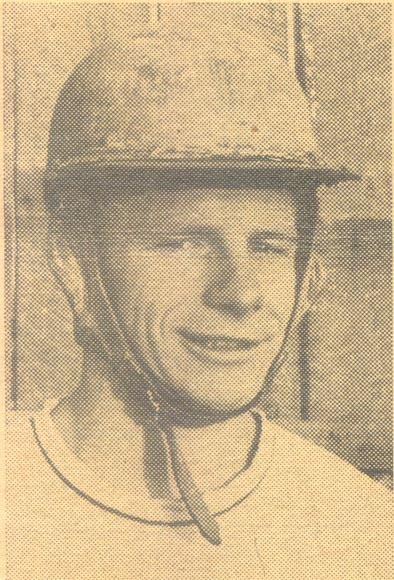 "Red" was a serious challenger and a highly ranked driver in the RSCA. 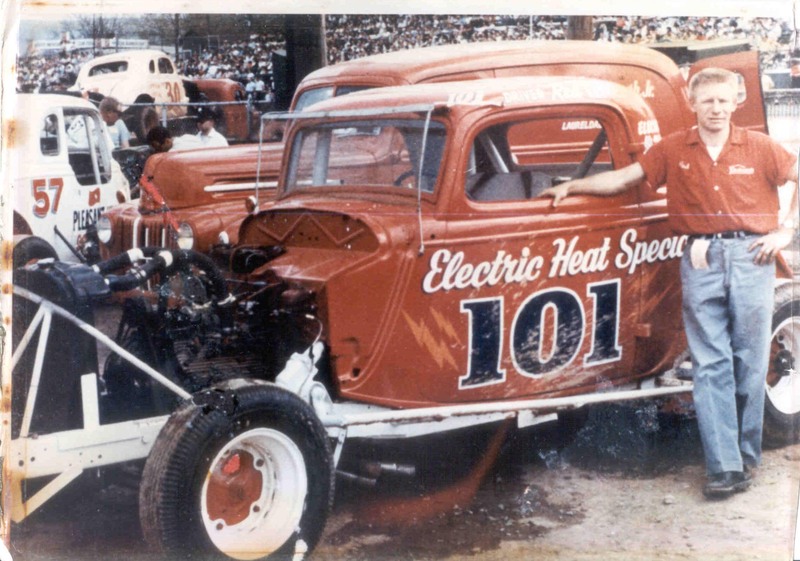 When Johnny and "Red" parted ways, the #101 was then driven by a few other drivers the last being Warren Mutter who ended up buying everything from Johnny. for all the excitement and thrills!!! !